Whenever a discussion takes place about the most effective means of alcohol treatment, there is one which seems to be mentioned more than any other, and it is Alcoholics Anonymous. But are there any alternatives to aa? And if so what are these non 12 step recovery programs? The following article will look into the various non aa alternatives available today. Although the 12 step alcohol program is well known, there are actually quite a few alternatives to aa 12 step program. But what are the main differences between these other options? And are any of these non 12 step programs as good as aa? Learn how each of these non aa alternatives works and find out which non 12 step program works best in which cases. What is HAMS: Harm Reduction for Alcohol? Why is there a need for non 12-step alcoholism treatment? Are alternatives to 12-step effective? When looking for an alternative to aa, there is no better place to start than with Smart. The name of this non 12 step organization is an acronym. Smart stands for Self-Management and Recovery Training. The largest difference when looking at Smart recovery vs. 12 steps is the way the patient is taught to see a ‘powerlessness’ over their use of alcohol. Based around a more scientific viewpoint which takes much of its ideas from CBT or Cognitive Behavioral Therapy, Smart is a great non-religious aa alternative. The way Smart’s non 12 step alcohol program works is it utilizes a support system of local ‘facilitators’ and ‘advisors’. With alcohol and other addictions being seen as a ‘dysfunctional habit’ instead of the disease another non 12 step alternative might do, Smart aims to treat the reasons behind the alcohol use through support and motivation. As far as alternatives to aa meetings go, Smart offers some of the best available. Created as a one-stop refuge for women with alcohol abuse or drug addictions, WFS was from the start intended to be an alternative to 12 step programs. With a strict women-only policy the non 12 step organization has over 200 groups meeting up across the globe. Instead of 12 steps, WFS focus on a list of 13 affirmations serving to show six different growth levels. Created by Jean Kilpatrick (a sociologist) back in 1976, the WFS non 12 step recovery program bases its practices on similar beliefs as cognitive behavioral therapy. Because the program utilizes a support system of women as well as positive thinking and better awareness of negative thought patterns, WFS is one of the best non 12 step treatment programs for women addicted to alcohol. Known worldwide as a call for help, S.O.S is also the name of one of the programs for alcoholics other than aa currently operating. More widely known as either Save our Selves or as the Secular Organizations for Sobriety, they are a network of various different addiction support groups all of which are alternatives to aa for alcoholics. 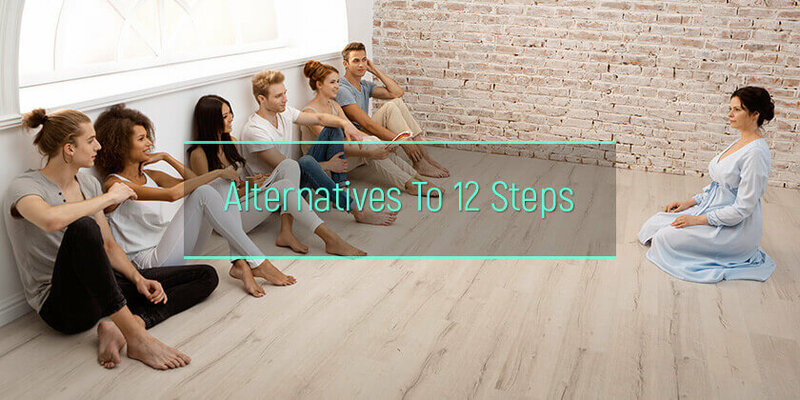 The main aim for this group of alternatives to 12 step is to put the importance on sobriety itself. They also offer a huge network of support in order to achieve sustained sobriety for their members. When S.O.S was first created it was as most nonreligious 12 steps substitutes are today, a response to the overwhelming focus that the AA puts on a Higher power or other types of spirituality. Instead, the weight is placed on decision making and mutual support to help people who abuse alcohol. Another secular non aa recovery organization was created in California in 1997. Life Ring is based on the use of face-to-face meetings in order to help those with alcohol or other addiction problems. There is also part of this alternative 12 step program that offers assistance to those who are closely affected by alcohol like the partners and family members. The organization itself is one of the non religious alternatives to 12 step recovery. There are three main principles or ideals behind the approach that Life Ring takes towards sobriety. These are known by members of Life Ring’s non 12 step recovery program as the ‘3-S Philosophy’ and includes Sobriety, Secularity, and Self Empowerment. This treatment for alcohol abusers has only one requirement from its members, and it is to keep away from alcohol and drugs unless medically prescribed. For a fairly long time, there were few routes to recovery for an alcoholic which were non 12 step rehab centers. The majority of people who were looking for some type of dual diagnosis program would have to make do with the alcohol services and support offered by AA. Then there came a change in the way people saw alcohol abuse and indeed in the way in which treatment was approached. When these alternative 12 steps did not include reference to a higher power, they came to be known as ‘secular’ or worldly. And subsequently, the term ‘secular recovery’ was born. So far secular recovery has been incredibly important in moving forward the understanding as well as the treatment of alcohol use and other addictions. It has done this by increasing the types of non 12 step programs that are available as well as placing the importance on far more controllable variables. Another non-profit organization working to help those with an addiction to alcohol is MM or Moderation Management. The MM non 12 step program was created by Audrey Kishline as a response to the beliefs of the more mainstream alternative systems. Moderation Management founder Audrey believed she could share from her experiences as a drinker as create one of the better alternatives to 12 step recovery. In her own life, she had seen far more progress in the moderation of her own habits through cognitive behavioral therapy than she had from seeking help from religion. This is again one of the recovery programs other than aa which utilizes a large network of people as well as limitations and guidelines to help members achieve them. Describing themselves as one of the alternatives to 12 steps and as a society of members who help one another in the Harm reduction, Abstinence and Moderation Support or alcohol abusers. As well as having live meetings at which their members can share experiences and offer each other support, HAMS also offers a large number of online tools to help answer the most complex question or just simply answer the question ‘how long does alcohol stay in the body?’. There are some aa alternatives which are still based on religious ideals even if those ideals are not Сhristian beliefs. One of those alternative systems taking its motivation and power from religious ideals is Refuge. The founding belief system behind Refuge is of the healing powers of Buddhism. Utilizing a vast network of people and strengthened by the use of Buddhist principles and practices, the aim at Refuge is to ‘create a strong foundation for the recovery process’ to build on. With resources including online tools, podcasts, meditation mantras, and live non 12 step meetings, Refuge Recovery takes ‘a Buddhist approach to addictions of all kinds’ and uses an eight-fold path and Buddha’s four noble truths in order to aid the sobriety of its members. Introduced as a completely alternative type of treatment for alcohol abuse and now widely used in many non 12 step treatment centers is the Sinclair Method. The Sinclair Method is a newer treatment for addiction to alcohol which is known more technically as ‘pharmacological extinction.’ A term used in cases when there is a use of opiate blockers to alter behavior and change the way the alcohol habit forms and is subsequently dealt with by the patient. The way this type of treatment works is by removing any of the effects of alcohol. With effects such as euphoria now removed from the drinking of alcohol, there is now less of a benefit attached to the process, and therefore the habit is made easier to quit or to moderate. One main difference between the Sinclair Method and other non 12 step systems for alcohol abuse it only works if the use of alcohol carries on as it is then that the opiate blockers take effect and the patient learns not to like drinking. Another non 12 step alternative to the more mainstream approaches to alcohol abuse treatment is Naked Mind. With a huge number of members already to their name, Naked Mind is an alternative non 12 step program that calls itself ‘a path to freedom from alcohol.’ As well as having a best-selling book to read and work from there is also a great audio program. Naked Mind’s non 12 step alcohol support system is based on the belief you can separate yourself from the conditioning attached to alcohol use. By looking closely at the varying roles of the subconscious as well as the conscious mind in alcohol use, Naked Mind aims to free its members from the grip that alcohol has on them and their lives. There will always be a need for alcoholism treatment and for a long while there was only the AA that offered a wide enough network for a member to feel safe. What many members soon found out though was the way AA works is heavily based around the belief of your addiction being a disease and it is also curable by asking a higher power for help. It is clear there was a strong need for alternatives to the well-known AA program and so various new non 12 step organizations began to spring up. Now there is a wide range of differing views of how alcohol treatment should take place and why the addiction occurs in the first place. A wider range of non 12 step treatments offers each person the opportunity to find one which is best suited to their specific beliefs and needs. There is one simple and definitive answer to this question, and that is ‘Yes.’ While there is evidence to prove that the classic 12 step system does work for some people, it also shows that there are others who benefit far more from a different approach or type of support. 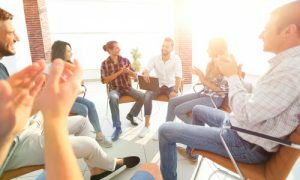 With each of the different support groups or recovery programs having their own take on addiction, it is now possible for patients to find out which method is most effective for their personal addiction. Various tests have been carried out to study the effectiveness of alternative non 12 step programs in comparison to AA. These tests have shown some main alternative choices of alcoholism treatment to be just as effective as AA according to The US National Library of Medicine. The number of different types of treatment and rehab center for alcohol is rising by the day, and there are now many alternatives to the 12 step program. Many of these alternatives have shown great success and continue to strive for the support and recovery of those affected by the abuse of drink and those trying to find the right alcohol treatment center.